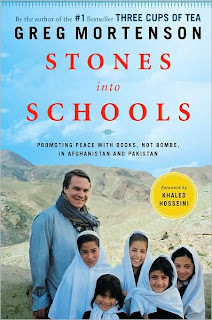 I just finished "Stones Into Schools." It was amazing. I read it in 24 hours and was so inspired. The fact that one man can start a movement that ends up larger than himself and empower so many people who have the most at stake in their own home country is amazing. This book, though, was unbelievable. 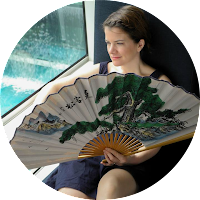 Life can be such a coin toss and so poised on the brink of incredible joy and unmitigated disaster. But the perseverance, perspective and strength of the Afghan and Pakistani people took my breath away. I devoured the book. In this recommendation, I don't want to give a synopsis or parse the message. Read the book.